Chop grilled pineapple and apricots and add to medium size bowl. Add onions, tarragon, orange juice, honey and Herb’s d’ Provence. Mix to combine and set aside. Spray hot grill with cooking spray and place salmon fillets on hot grill. Cook until fish begins to flake. Season salmon with garlic salt and pepper. 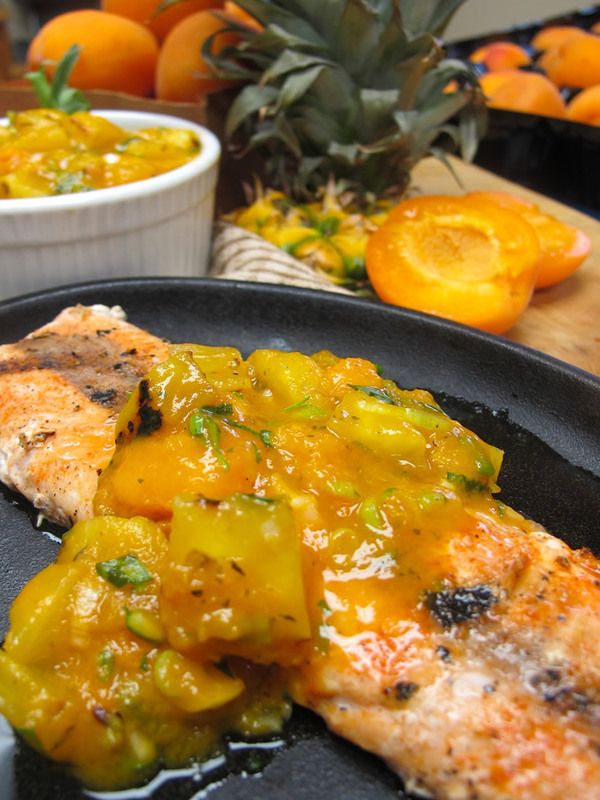 Plate fish and spoon Apricot and Pineapple relish over fish and serve.